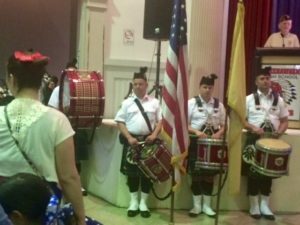 West New York and Weehawken took the opportunity on Monday, Memorial Day 2016 to honor those who made the ultimate sacrifice in the line of service. Both towns gave somber services as commissioners, current service members, war veterans and Mayor Richard Turner spoke of what this day means to them. Mayor Felix Roque (couldn’t be there because he was at the hospital with his wife and newborn baby boy). 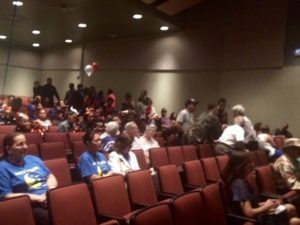 Stay with Hudson TV for more on this story. Service members they put aside their wants, wishes and desires and they put the nations’s needs first. Memorial Day gives us a moment to really reflect about those who’ve died and how many. “The numbers are staggering and it’s a day where we certainly can memorialize those that gave us our freedom,” says West New York Commissioner Susan Colacurcio. He helped the sister of World War II Combat Engineer Serge Delsey killed in action. A former neighbor of hers and a friend’s brother were both killed in the Vietnam War. “We don’t have many days where we actually honor our heroes and our veterans, whether those that are still living, those that have gone before us and I think there should be more days,” says West New York resident Dorinne Auriemma. 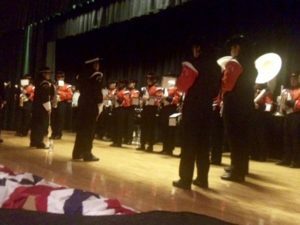 “For the mayor and the board of commissioners to make it their mission to kind of bring those memories to life through the band and through the people and through engaging the community — I mean this is, what a tribute. It’s just an honor to be here,” says Lt. William Bailey of the Army National Guard. 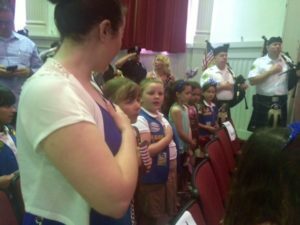 “That did war and who got wounded in war and did all the things they could,” says Daisy Carson, 7, of Girl Scouts of New Jersey. He had a grandfather who fought in the Korean War and another one in the Marines. “It’s nice to have someone who fought in the war that’s special to you and you should salute them and remember them (on this very special day),” says 10-year-old Vincent Ferullo of Weehawken. “It feels good, you know you appreciate life more and you appreciate everything that veterans present and past have done for us,” says Spc. Peter Girgis of the Army National Guard. Its a chance for civilians to reach out to those who may have lost a friend or family member. 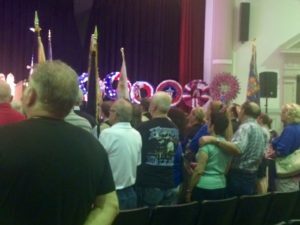 “(And in particular) this is a year where we should once again be remembering those wounded veterans that come back and that we have to do everything in our power to assist,” Mayor Richard Turner says. He’s a Korean War veteran, machinist’s mate first class and did three tours of duty. “It’s a blessing that we’re here able to remember those who are alive and those who are now at rest with our Lord,” says Rev. Lester W. Guilfoyle Jr., pastor emeritus of Park United Methodist Church in Weehawken. Town Spokesman Pablo Fonseca says Mayor Roque never did anything besides recommend hires at the Board of Education. Mayor Nick Sacco honors local veterans in the community. 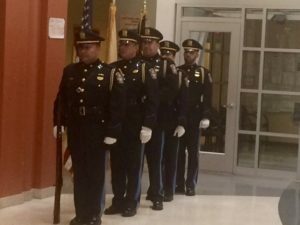 North Bergen Holds Annual Memorial Day Celebration at Recreation Center.